Below you will find Rajasthan Board 10th Time Table 2019, RBSE 10th Date Sheet, Schedule. Click here to download Rajasthan Board 10th Time Table 2019. 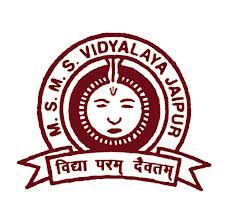 Maharaja Sawai Man Singh Vidyalaya (MSMSV) was organised in the year 1984 by the Sawai Ram Singh Shilpa Kala Mandir Society. Maheshwari Public School (MPS) is a public school in Jaipur, Rajasthan, India. Jaipur School is a K-12 private school in Jaipur, Rajasthan, which was registered in the year 1980.